It's located next to the restrooms underneath the Base Camp Café. Cincinnati Zoo & Botanical Garden has a beautiful and spacious nursing mothers room designed by IKEA called the "Nursing Nest". This air-conditioned room is located next to the women's restroom underneath the Base Camp Café. There's ot one but two private nursing areas, as well as a play area for kids, a baby changing station, a sink and many more amenities for mom. "One of the highlights from my recent visit to the Cincinnati Zoo was the "Nursing Nest" area designed by Ikea solely for breastfeeding women and babies. It was a spacious, sleek room with comfortable furniture, private "stalls" with curtains and a clean changing table area. 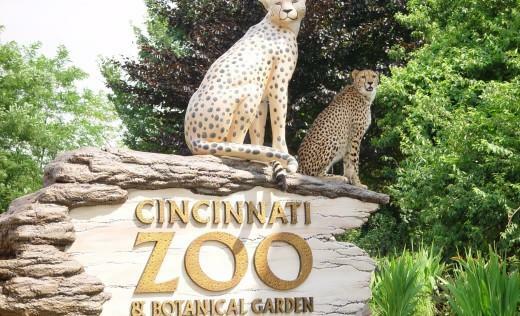 I was very delighted to see that the Cincinnati Zoo went out of its way to cater to nursing mothers. My friend and I both nursed our babies in there twice during our visit!